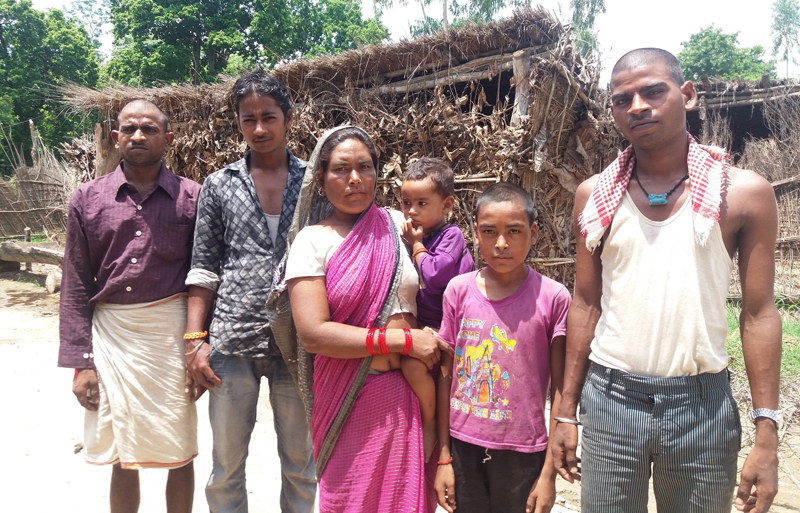 BANKE, July 11: Mansari Bahun's family was displaced by the Rapti flood four years ago. 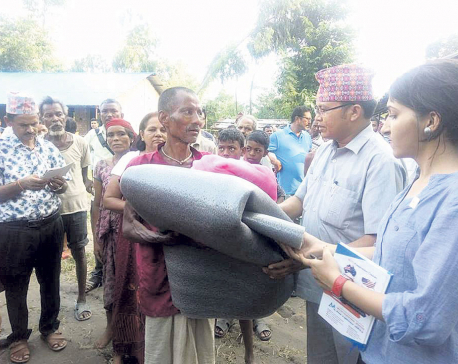 The displaced family has been living in a small hut in Nayabasti of Duduwa Rural Municipality - 1 since then. During these four years, Mansari told her story to several people on several occasions. Whenever politicians visited her locality, she pleaded for help. However, these pleadings never bore results. When the government announced local level elections earlier this year, she was not excited. The election date came closer and election candidates started meeting people like her. Mansari was one of them. They told her that election this time was not for electing central level leaders but for electing local leaders. If the winners did not fulfill their responsibilities or promises, they could be held accountable as they are from the same locality and she can meet them whenever she wants. Mansari was glad and she cast her vote in the election held on May 28. Recently, the victorious representatives assumed office and announced their plans and projects and these made Mansari very happy. "Our newly elected local representatives know about our plights very well. I feel that they are going to do something for us," she said. There are many other displaced people like Mansari who have pinned all their hopes on the newly elected team. They believe that something would definitely be done for them. "Those who have been elected are familiar with our problems. 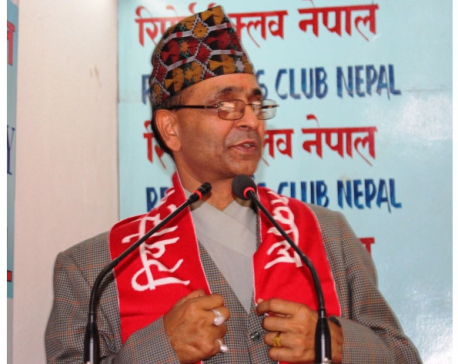 So, we feel that they will definitely address them," Mansari said. There are 35 displaced families in Nayabasti, which is located near the Indo-Nepal border. In lack of basic facilities, those families have been living an impoverished life. Children here do not go to school while grown-ups have no regular job. Proper food, water, power supply, health facilities are still a distant dream for these people, they say. According to Mansari, when one does not have proper shelter, everything becomes harder in life. "When the flood took away our house, we thought that the government would do something to bring our life back to normalcy. But four years have passed and we are still helpless and homeless" she stated. There are eight members in the family of 55-year-old Shyamlal Maurya. Every monsoon, they repair their hut that is made of straw. Yet, the rain does not stop outside. "We try to patch the leaks every year but we have remained unsuccessful. We can't sleep well during rainy days or in winter as water drops and cold sips in" says Maurya. "Let's see if the newly elected local representatives can address our woes," he added. With the new local body starting to function, Maurya is also one of the displaced flood victims, who are highly hopeful. He believes that the new team would not dare embezzling government funds meant for people like him. "Earlier, we would remain unaware of what's happening with the fund meant for our welfare. But now, we do have a platform to rest our hopes on and to complain if our hopes are dashed," he elaborated. Government officials in district administration office would not pay attention to them at all, these locals complain. They now feel better that they don't have to deal with those 'uncooperative' officials. Maurya stated that they feel more confident as they have access to the local representatives. They feel good also because they have met with new local body team several times in the past few weeks. Meeting the new chief and deputy chief is not hard. "After I met our chief, he told that he has just won and assumed chair and promised to share his plans for them in a few days," Maurya shared. Chief of the Duduwa Rural Municipality, Parameshwor Bangaiya is a pleasing personality, the flood victims say. The way he has listened to them has made them feel better, they shared. "He told us not to worry and we seriously hope that he is not making empty promises," said Maurya. The flood victims say that they don't have big expectations from the government. What they want, they say, is land for building their houses. 24-year-old Tilakram Murau, of the same locality says that people have elected right candidates and feels that things are going to get better finally. "There are hundreds of flood victims here. Their grievances have not been heard so far. Every year new batch of flood victims is added but as the government does not resolves their issues right away, the number goes on getting bigger," he said. He expressed confidence that local bodies will act more responsibly in such resolving such cases with priority.